As every last friday in a month, FSD organizes happy hour! FSD pays much attention to its employees. People are the most valuable resource in FSD and we put their needs and wishes at the very first place. We regularly organize a plethora of activities in order to make our employees work and spend time in an interesting way. These activities include: parties, trips, sport activities, travelling, informal meetings and many other events. As on every last Friday in a month, that February, FSD organized happy hour. 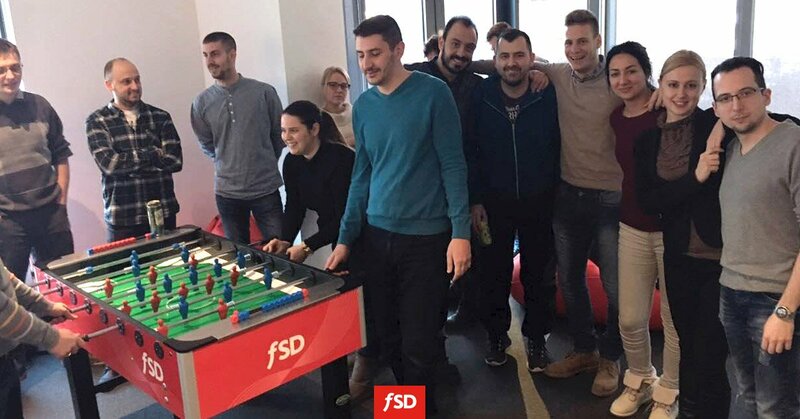 We were celebrating team spirit and playing tournament in table football. Life is good at FSD. Join us!